Choose the Build Your Own template. 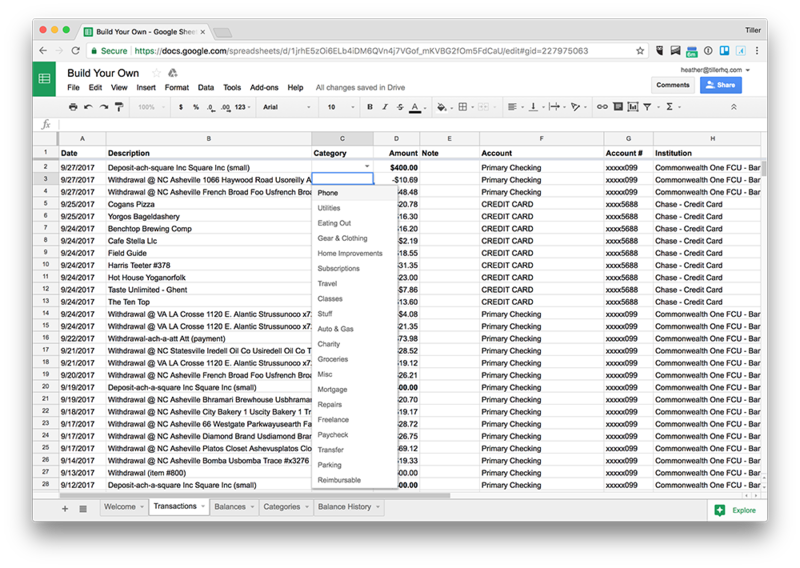 Get your transaction and balance data plus our powerful Categories sheet and category logic build in the Transactions sheet as the foundation for your own custom finance spreadsheet. Categories sheet to set your own income and spending groups and categories. Category logic built into the Transactions sheet.